Linds Rehabilitation Equipment has a well established reputable Hire Department. Our mission is to assist our clientele to pursue and achieve an active and comfortable lifestyle, through the provision of quality leading rehabilitation hire equipment and superior customer service. Linds Rehabilitation Equipment is an approved DVA provider. - Standard, Customised & Complex Powerchairs. - Standard, Lightweight, Customised & Complex Manual Wheelchairs. - Pressure Care Cushions & Backrests. 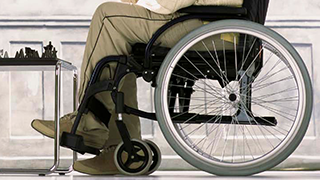 - Bariatric power wheelchairs with max user weight of up to 260kg & seat width of up to 76cm. Linds takes special care to fulfil the needs of our clients and treat them all with the same level of respect and understanding. We are here to help you maintain your independence by providing suitable solutions. Our hire equipment is personally delivered by our own Linds representative unless in case of an urgent delivery where we will use outside couriers to ensure you receive your goods when you need them. Our equipment is professionally cleaned & disinfected to industry standards before hiring. Please fill in the form below to download our hire brochure.